Need some inspiration? Visit our Case Studies page to see examples of previous TimberTech projects! 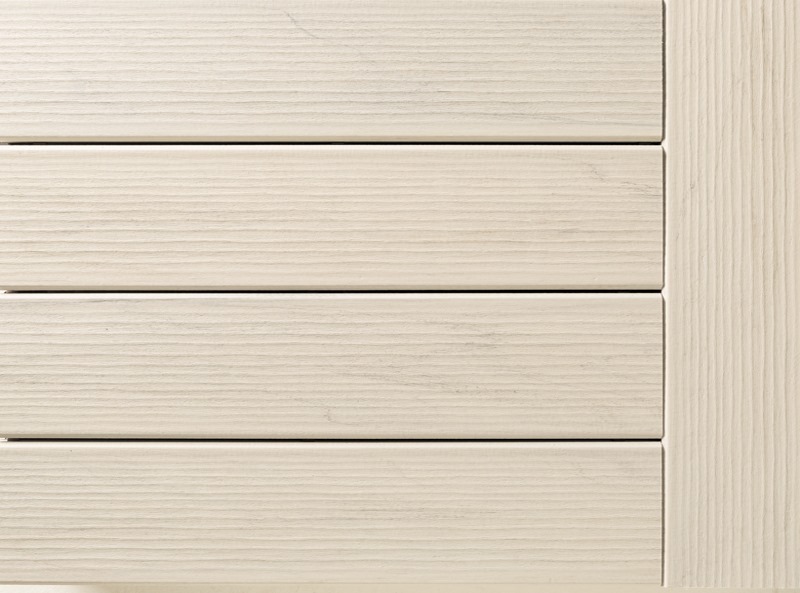 If you love vintage-style design and you want a bright, unique look for your outdoor living space, our EasyClean Legacy Vintage White decking should be perfectly suited to your tastes. 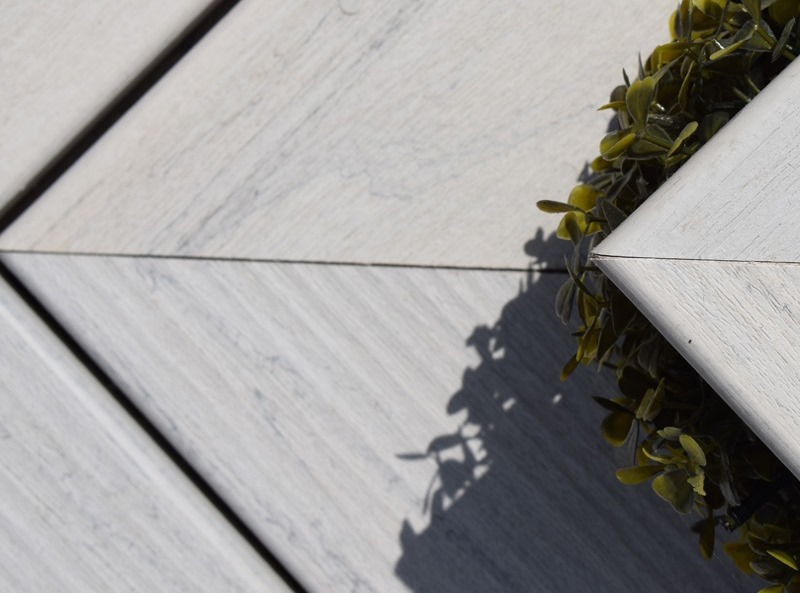 These radiant white decking boards look absolutely wonderful in all sorts of different environments, and as with all of TimberTech’s composite decking products, they’re wonderfully low-maintenance as well. Vintage White is part of our EasyClean Legacy range. 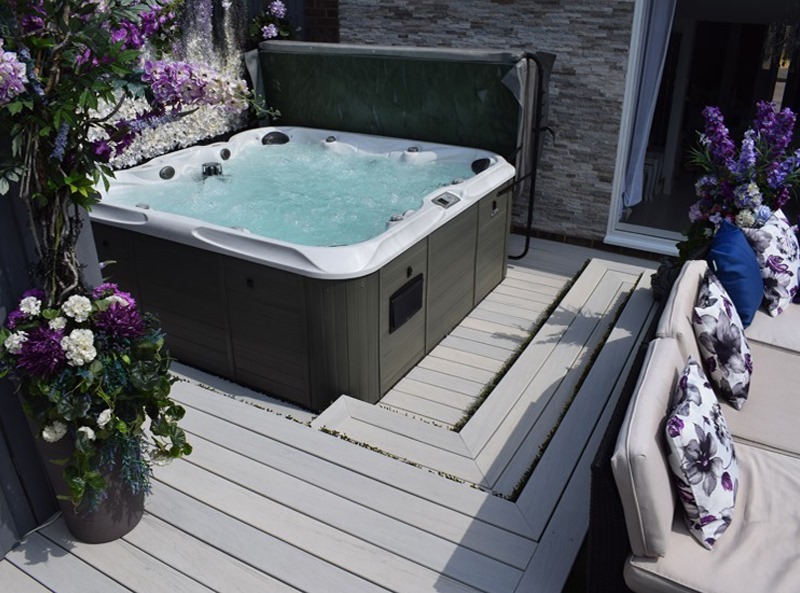 These capped composite deck boards are protected by a hard-wearing polymer sleeve that wraps all the way around the board, keeping out moisture and allowing spillages to be wiped away with ease. 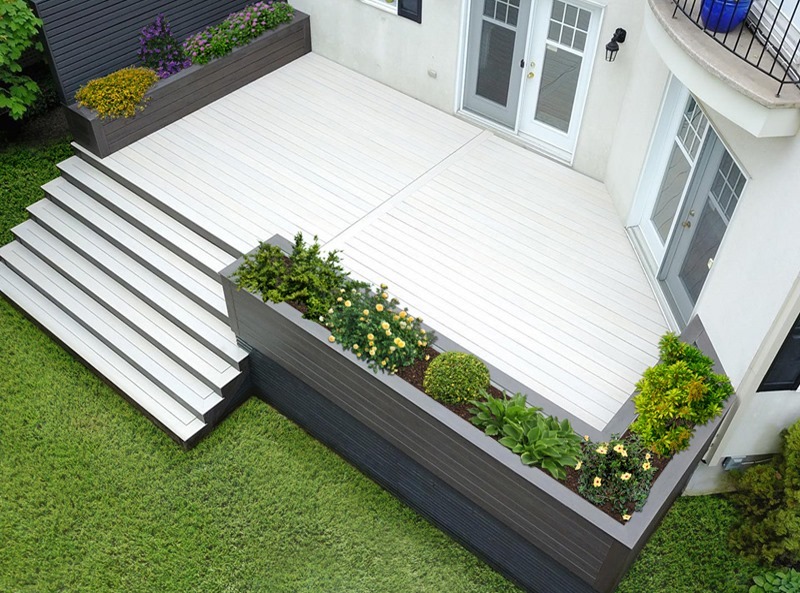 Capped products like our Vintage White decking boards are ideal if you’re concerned that rain or spilled drinks will ruin the appearance of your garden deck. Would you like to take a closer look at our lovely vintage-style decking? Order a FREE sample now , or give TimberTech UK a call on 029 2080 3756 to discuss your requirements with a composite decking expert. Please bear in mind that we offer a wide range of accessories that are sure to look wonderful alongside your new vintage decking, including our popular balustrade systems. These contemporary balustrades are available in a variety of configurations to suit your tastes. TimberTech deck boards are cut ‘in-line’ in a production environment, with the board continuously moving along the production line. As a result, the ends of the boards are not cut at exactly 90 degrees. In addition, we cut our boards to a length of 4.88m, providing ample length for customers to obtain a minimum length of 4.8m from each deck board. 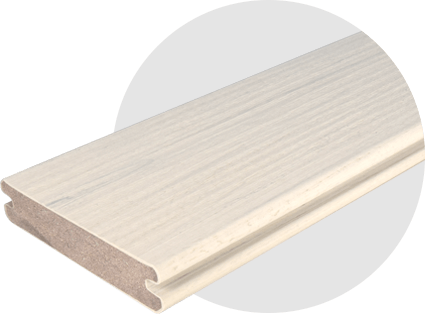 We advise that you cut the ends of each board to your desired length prior to commencing installation. Click an image and use the arrows to browse through our full gallery. "After visiting the Slough showroom we were in no doubt that we wanted the Tigerwood legacy deck, Dimitar gave us great information and provided us with samples, we especially appreciated the complimentary architect design drawings which we now have for real!" © Copyright TimberTech 2019 | All Rights Reserved. Website Design by Designer Websites Ltd.